China's version of Twitter, Weibo, has effectively banned users from promoting the country's most popular messaging app WeChat on its platform as the two Internet giants battle for users. Nasdaq-listed Weibo said in a statement it would crack down on users disseminating QR (quick response) codes—a type of barcode—and other marketing information. Weibo did not name WeChat, but the instant messaging platform widely uses QR to enable users to "follow" others by simply scanning. State media portrayed the move as an escalation in the rivalry between the Internet giants. "War escalates as Weibo bans users promoting WeChat," the official Xinhua news agency reported Thursday. WeChat, called "weixin" in Chinese, is owned by Shenzhen-based Tencent, and had 468 million monthly active users in the third quarter. Weibo, which has steadily lost users to WeChat, saw its user numbers drop nine percent during 2013 to 281 million, data from the China Internet Network Information Center showed. 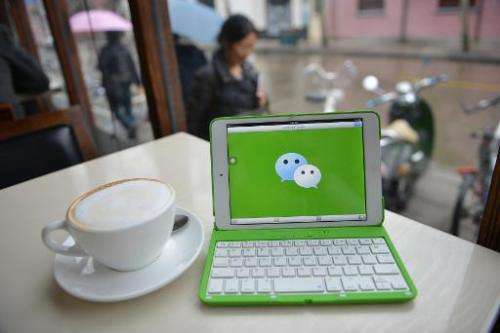 Users say that WeChat is more versatile and easier to use. E-commerce giant Alibaba, a bitter rival of Tencent, holds a 32 percent stake in Weibo. Tencent and Alibaba have locked horns before. WeChat blocked promotion of Kuaidi Dache, Alibaba's taxi hailing service, a week ago, Xinhua said. Alibaba's consumer-to-consumer platform Taobao and its online payment service Alipay have barred WeChat users as well, the news agency added. WeChat users posting links to product listings on Taobao are finding that the links cannot be opened, and are also currently unable to make or accept payments through Alipay. 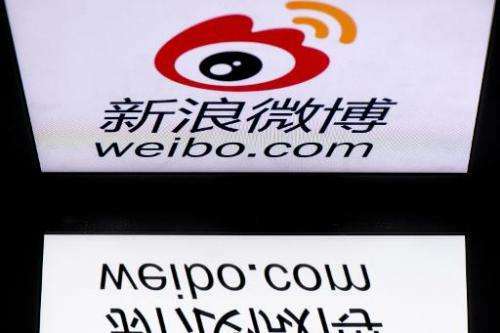 Weibo users could have their accounts suspended or be banned for violation of the new rule, the social network said, adding in a statement: "The clean-up operation is mainly targeted at accounts that do marketing in a coercive way."